On-Demand Scalability | Parallels RAS Streamlines It for you! 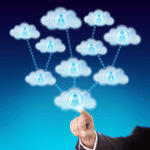 What Is On-Demand Scalability in Cloud Computing? On-demand scalability in cloud computing is essential these days—but what does it mean, and why we should care? When referring to IT, scalability means the ability to scale up (or down) an infrastructure as resources and demands grow (or diminish)—without causing a decline in performance or increasing in costs. Scalability means flexibility. It enables your organization to better adapt to demands as they occur. It’s a critical factor in promoting your business growth and success. More users, more bandwidth, more storage—what your infrastructure can handle today may not work tomorrow. To stay competitive, all organizations (no matter the size) must be agile, flexible, and—most importantly—scalable. Minimize operational costs. On-demand scalability enables companies to optimize cloud resources, guiding them to avoid upfront costs of hardware and software and transforming operational costs to a minimum. When implementing a traditional infrastructure model, companies must invest in servers, storage, and connection, increasing capital expenditure (CAPEX). By migrating to public cloud services with a pay-as-you-go model, organizations easily increase flexibility and scalability while reducing costs. Save storage space. Cloud computing makes additional resources such as space, storage, and RAM instantly available. There is no need for long-term hardware and software investment planning. Instead of taking days and weeks, organizations’ demands are achieved in a matter of hours. Minimize the risk. The on-demand scalability of cloud computing reduces the risks connected to capital investment, as well as the time and cost of in-house operation and maintenance. Companies gain access to high-performance resources and solutions without making an upfront investment. Moreover, by reducing the need for local resources, the cloud shrinks expenditure in the long term. Parallels® Remote Application Server (RAS) supports on-premise, hybrid, and cloud deployments, such as Microsoft Azure and Amazon Web Services™ (AWS). Enable your organization to be more agile with a flexible architecture that supports RDSH on Windows Server (2003R2, 2008, 2012 & 2016) and VDI with Microsoft Hyper-V, Citrix XenServer, VMware ESXi, Nutanix Acropolis (AHV), and KVM.